I have reviewed no less than seven times your entire episode on Charlie Rose. Your artful simplicity, studied humility and former hairline all positively radiated against the set’s dark background. Of course there was no reason you should look to one of your own traders for advice. But now that you have, we must proceed quickly. American public opinion is volatile; our exposure to it is peaking, and it will be more difficult than usual to create the illusion for American mortals (or as we like to call them, “The Morts”) that our business is in their interest, much less that we share anything in common. No. 1: Implicate the rest of Wall Street, as quickly as possible. 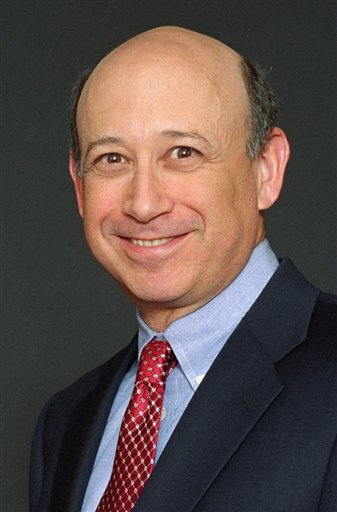 It’s always unnatural to hear the name of Goldman Sachs in the same sentence as Deutsche Bank, much less Merrill Lynch. We must put aside our revulsion. The American people might enjoy seeing one firm being driven out of business by a criminal investigation. They’re less likely to allow for the destruction of every big Wall Street firm. They just forked over trillions to keep them afloat. This job of putting our behavior in a new context -- comparing it not to some broad universal standard of “decency” but to Wall Street standards -- must be done delicately. The outburst did nothing to alleviate my situation, and probably made it more difficult than it needed to be for me to gain entry to Princeton. But the episode taught me one of the central tenets of the Goldman Way: far better to rig a system than to fight it. Our public relations staff might quietly and helpfully walk even hostile reporters through some of the deals created by these other firms. Ditto our lawyers in their meetings with the Securities and Exchange Commission. No. 2: Continue to use Warren Buffett, but don’t forget to pay him. When Warren said that stuff the other day about wishing you had a twin brother so he could employ you both, he didn’t mean it as a sign of his undying admiration for you. Remember: He said almost exactly the same sort of things about John Gutfreund, after Gutfreund had given him a sweet deal to rescue Salomon Brothers from oblivion. The moment Warren was forced to choose between Gutfreund and his money, he chose his money. Don’t force him to make that choice. If you want more loud character references from Warren Buffett (you do) you must insure that he continues to think of you as profitable. I don’t know if there are ways Goldman Sachs might simply give money to Berkshire Hathaway for free, but we should explore the possibility. No. 3: Hide, and hide from, the prop group. If you must be seen in public with Goldman employees, make sure they are bankers and brokers, and not our proprietary traders. You did an excellent job on Charlie Rose of making it seem the prop group didn’t even exist. At the same time, but for different reasons, you should limit your private interaction with the prop traders, especially Jonathan Egol. The SEC’s complaint focused on one of Jonathan’s Abacus deals and yet failed even to mention Jonathan. Instead they fingered the French guy. No. 4: You need to address our French problem. Going forward I suggest that our personnel department reexamine the French male’s ability to subordinate himself. In English there is no “I” in team. It turns out that the French use a different word: equipe. Our international people should have known this. At the very least they should have been queasy about hiring guys who look as if they’d rather be wearing espadrilles. No. 5: Be careful not to say or do anything now that will constrain our ability, after this crisis has passed, to do whatever we want. To that end, I intend to compile a list of things like ethics, in which we might strive to be a leader, without risk to our profitability.